Secularists want review of law giving religious figures the right to sit on education committees. 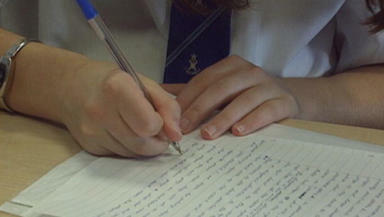 Religious groups should no longer enjoy representation on education boards, according to secularism campaigners. The Edinburgh Secular Society and the Humanist Society Scotland are calling for a review of the law which compels councils to appoint three religious representatives to their local education committees. 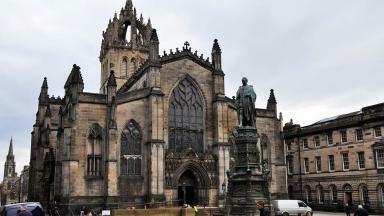 Campaigners have seized on a recent report by the Church of Scotland which described religious representatives as “hold[ing] the balance of power on 19 Local Authority Committees”. Professor Emeritus Norman Bonney from the Edinburgh Secular Society described the current system as a “seventeenth century theocratic interference in our education system”. He said: “This is scandalous. This is a fundamental challenge to the democratic principles on which local authorities are constituted. The Church of Scotland has been caught out by its own words, as it and other Christian churches exercise control over the work of our democratically elected local authorities. The two societies have begun to lobby the Scottish Parliament’s education and culture committee as well as council umbrella group COSLA to demand a review of the current policy. “We are asking for a rethink on this outdated and unjustifiable religious privilege,” a spokesman added, describing the appointment regulations as “anachronistic”. The Church of Scotland challenged the campaigners' use of "pejorative terms" and argued that church representatives contributed important, non-partisan voices to debates on education. The Local Government (Scotland) Act 1994 requires local authorities to appoint a representative of the Church of Scotland, an official from the Roman Catholic Church, and another religious figure to their education committees. In each case, the relevant church or organisation nominates a candidate for membership of the panel. Bob Barfoot, education officer for the Humanist Society Scotland, added: “The education policy of the Humanist Society Scotland is based on the Scottish mace values of wisdom, justice, compassion and integrity. Mr Barfoot rejected suggestions that humanists should also receive representation on education committees. He continued: “It is not compatible with justice that no one voted for these representatives and yet they can decide local educational policy. A Church of Scotland spokeswoman said: “It saddens me that HSS and ESS choose to use such pejorative terms to express their view. The position of Religious Representatives on Education Authorities recognises the service of faith communities generally and Church of Scotland in particular to Scottish education from times even before the John Knox vision for a school in every parish. “They provide different insights into the lives of the communities being shaped by the decisions facing councillors. They are able to ask questions of scrutiny and policy in a way that transcends party divisions. “They have in some places aided decision-making by providing safer community spaces for what can be difficult consultation and community discussions on issues like budget reductions and school closures. They bring experience and participation in education that complements that of officers and councillors. The Kirk pointed out that having unelected members of council committees was not uncommon. The spokeswoman continued: “There are three religious representatives on Local Authorities. One Church of Scotland, one Roman Catholic and one other who can be from any faith community or from those who hold no faith belief. “The representatives on education authorities use their position carefully to support the development of education in all its aspects. Their role complements the democratic process and their commitment is greatly valued by officers and councillors alike. 25 Apr 2013 Should the Kirk have a special status in an independent Scotland? 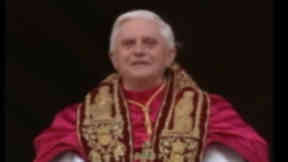 13 Mar 2013 Scotland Tonight: What role should religion play in modern society?